Designing and setting up a food facility requires a considerable amount of planning. Every aspect of the facility requires careful attention to detail, to ensure it meets the strict guidelines set forth by the USDA and FDA. Some areas of a facility, however, are a little more important than others and require extra attention. 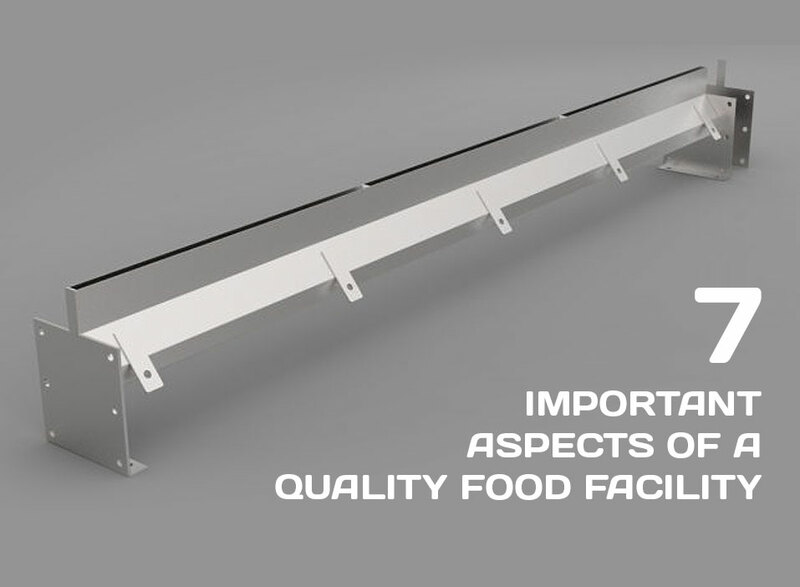 Here are 7 essential aspects of a quality food facility to keep in mind. The floors of a structure or facility are often overlooked or forgotten, but they are a critical part to keep in mind. Floors are what help to support the weight of a facility, from the equipment and vehicles to the workers walking it every day. This obviously means that floors take a substantial amount of daily abuse. That is why it is so critical to pay close attention to the flooring of your facility. This means it should be reliable, durable, easy to maintain, and able to withstand the daily abuse of a working food facility. 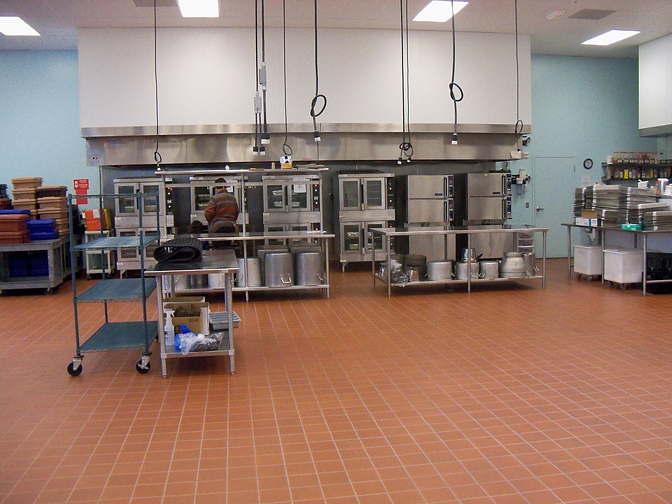 One popular kind of flooring in food facilities includes epoxy coatings, which are incredibly durable and come in a variety of options for different situations. Condensation is when water collects on a cold surface when humid air comes into contact with it. When this happens, it is a sign that the refrigeration area was done incorrectly in some way, allowing the humid air to enter. Usually, the reason condensation forms is because there is not a sufficient vapor barrier within the insulated panel construction. It may also happen because of vapor pressure issues or air infiltration or ex-filtration between different rooms. Knowing how each of these issues occurs is essential, as it will help you to better plan and design your facility to avoid such problems from occurring. Proper sanitary drainage is by far the most overlooked part of any facility, and possibly the most important. A drainage system will help to manage the flow of water and waste, keeping the facility clean and sanitary. 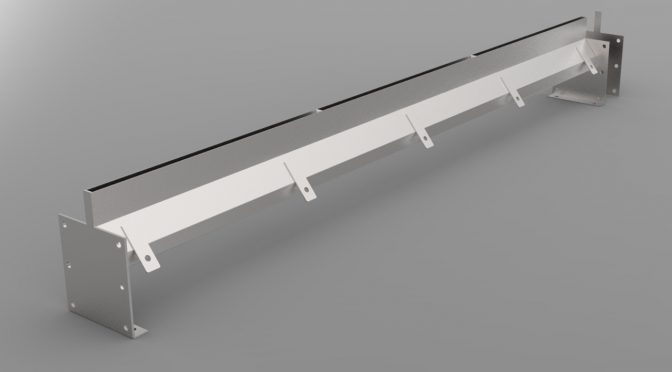 While there are many drainage systems on the market, the Slot Drain System is a newer, innovative type of trench drain system perfect for food facilities. Slot Drain uses high-quality, food-grade stainless steel to create a smooth drain channel that is easy-to-maintain and highly durable. 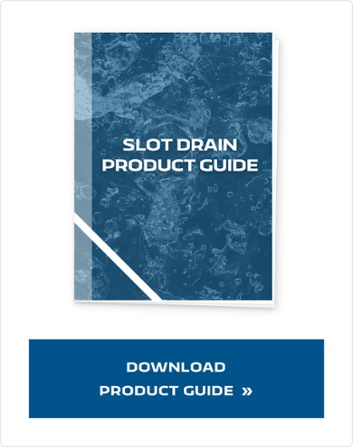 What really makes Slot Drain unique, however, is the fact that the unique design means there is no need for a grate covering, unlike other trench drain systems. Another little-considered aspect of food facilities is the air conditioning. But, it is something essential for any good food facility, particularly where food product needs to remain cool. Otherwise, there is a potential for food to lose its quality or become contaminated. It is essential that you ensure the air conditioning of the facility is working properly to help maintain the quality of your products. Proper air conditioning will also help to ensure that the temperatures in your refrigeration rooms remain well maintained. 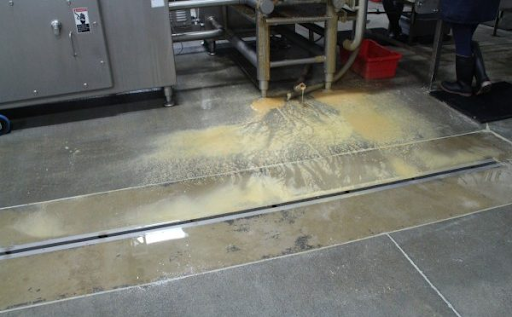 Sanitation is by far the most critical aspect of a food facility. Therefore, it makes perfect sense that a sanitation system is a crucial aspect of a food facility. A sanitation system will help to ensure that the food products you are producing remain uncontaminated. The system will also help to ensure that the facility remains clean, allowing you to maintain the equipment and products better. Just like the floors of a food facility, the walls of a facility are subject to an extreme amount of abuse. Between the traffic, equipment, and chemicals they are exposed continuously to, walls can suffer a great deal. You should follow the particular specifications that government agencies may set forth for food facilities. These specifications are in place to ensure food facilities have quality walls that will not only last but can withstand the constant exposure to varying temperatures, chemicals, and other types of stresses. Having the right lighting is also an important aspect to keep in mind for food facilities. Without proper lighting, the facility can be dark and difficult to navigate and create serious safety issues. Lighting should also be easy to clean and maintain, you so that it will serve the facility for many years. It is also essential that lighting is energy efficient, which will help to save a great deal on the facility’s utilities bill. Many different parts go into creating a well-designed, high-quality food facility. These are some of the more important aspects that you should always keep in mind. By ensuring each separate aspect of the facility has high-quality and durable finishes that will be able to withstand the harsh environment of a facility, you ensure that facility will be built to last. Keep these critical features in mind, and you will have no problem creating a well-designed, successful food facility.